I have now had my Suunto Core All Black Military watch for just over 2 years (2 years & 2 months to be close to exact). It has been my every day watch, and of course, my go-to watch for backpacking, since the day it showed up in my mailbox. Before purchasing this watch, I was sporting a High Gear Axio Max watch, which was a nice watch, however, some of the functions of the Suunto Core seemed to be more what I was after. So, in my search, I found a Suunto Core for $60 off its suggested price of $300, and in the color configuration I wanted, the negative display, so I bought it. The battery life has shown me twice now that about a year is the average life expectancy from the single CR2032 battery. This is completely acceptable to me, and especially so since these batteries are so easy to find, and quite inexpensive. But the best part is, I can change the battery out myself at home! No special tools required, and no reason to have to send it in, or take it to a dealership to have it done for me. All I need is a nickel, a new battery, and about 1.5 minutes, and I am all set! Aesthetically, the watch is scratched up a bit more since the 1 year mark, but that is expected. While I am not completely mindless about my watch, I don’t take the time to treat it delicately. It bumps into door faces, walls, tables, etc… on a daily basis. When I use it hiking, it has fallen against rocks when removing it, bumped rocks while navigating over/through them, hit trees while walking between them, and who knows what else. The black along the rim of the bezel is almost completely gone now, however, this is pretty much the only area with any real wear from these bumps along the way. The crystal is still scratch free, and just as clear as the day I opened it, which is what matters to me. Functionally, all the features still work as expected since the day I started using it. The displayed time seems to stay true when compared to the time on my phone. The altimeter still seems to stay relatively true, however, over the last few hikes, the ever-changing weather conditions seemed to give it a hard time and I often found myself resetting the reference twice a day (morning and night) when I was at areas of known elevation. I have never used the compass, and as neat as it seems, I have still yet to use the log’s on the watch to record my elevation… I never remember it to be honest… And of course, I sometimes use the stopwatch or the timer, which also still works just fine. The only real problem I can report on my Suunto Core since the 1 year follow-up is one of the buttons has gotten really hard to press. The top left button, which starts and stops the stopwatch, or the timer, has gotten to where it sometimes doesn’t respond when pressing the button. It seems that if I don’t use it for a while, it gets worse, but after using it a couple of times, it becomes a little more responsive. The problem is I have to press the button really hard to get it to work, and sometimes that takes a bit of pressing… So, I feel like this button will likely stop working all together sometime in the future… when that is, I have no clue. I can send it back in to have it repaired, however, my warranty is about 2 months expired now, and I am not looking to put more money into this watch. At this point, I can’t say that I regret buying the watch, although, it would have been nice if I could have got it for cheaper… but then again, that’s with anything. As well, a lot of folks have been asking me if I would suggest this watch, and I honestly can’t say one way or another. Reason being, I haven’t used any other watch to really compare it too (other than the High Gear, which isn’t available any more). The best suggestion I can give to someone else considering this watch is to make a list of what you want in a watch, and then start checking off boxes and go with the watch that has more boxes ticked off. So, I want to finish by saying, I don’t know if I will do another follow-up on this watch. It will really depend on if I continue using it as my every day watch or not… So, until then, thanks for stopping by! Disclaimer: I paid for this watch with my own, hard-earned monies. I am not affiliated with Suunto, and am not receiving any sort of perks for sharing my thoughts on this watch. 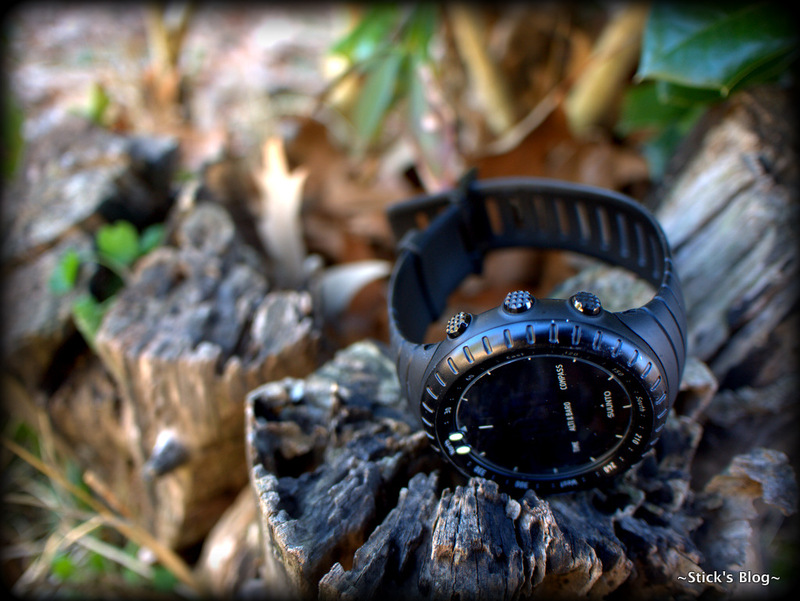 This entry was posted in Gear Reviews, Watch and tagged ABC Watch, Backpacking, Hiking, Suunto Core, Watch. Bookmark the permalink. This is how I fixed the sticky buttons. I had a huge issue getting mine fixed direct through Suunto, after owning it six months. I had the band break completely and the altimeter go in the same week (common apparently if you get the thing wet… Which I found hilarious considering its was supposed to be water tight and I’d never taken it more than a foot or two deep. They told me I had to find a local official retailer to send it back through. The three ships they sent me to either only did dive produces and couldn’t repair watches, or had no idea how or who to send it back to. I ended up fibbing at MEC and claiming to have bought it from them so they could handle dealing with Suunto for replacement parts. Lo and behold the major retailer had it fixed for me in a week. Suunto not letting you deal with them directly was really problematic. Wow, that is a bummer! I still haven’t even tried to contact Suunto, and have been looking for other EDW watches, so I likely won’t even try, and just resign the Core to backpacking use only. Anyway, it’s good to hear that you finally got it fixed. Thanks for sharing your experiences! My understanding is that the mesh which allows the altimeter to test air pressure (which is how it gauges relative altitude, and why it requires occasional resets when you know your actual altitude) is prone to failure or buildup. Salt water, moisture or even skin debris causes issues over time. It wasn’t the fear failure that bothered me (that just happens, all gear fails eventually… even my sixteen year old full leather Salomon Quests… Sigh). It was how Suunto kept passing me off that bothered me. The same weekend in ADK I had my Katahdyn filter outtake crack off and a seam split on some Patagonia shorts. Both those companies sent me parts when I returned or replacements inside a week. Just not the level of service I’m used to from an outdoor retailer I guess. I wondered if that would build up any kind of “debris” and if it would alter things eventually. I wonder if there is a way to clean it out at home, or if this is something that has to be sent in to be done… The times I have pulled the back off to change the battery I didn’t really pay much attention to that… I will next year I guess. And I totally understand about the customer service… IMO, it doesn’t matter how good a product is, if the CS is crap, I don’t want to deal with it. Nothing last forever, so at some point, contacting CD may be a question, and it’s a good feeling to know that they will be there when they are needed. Agreed. If I know the company believes in it, and stands behind it, I will pay the premium. I have a similar problem with mine: the middle button is really hard to press. Other than that it’s still working fine. Dented and scarred, but working. The compass was the most unreliable part of it: every time I tried using it it was totally off and had to be recalibrated, which is not the easiest thing (there is no recalibration option in the menus; you have to find the secret button push or remove the battery). Send back to Suunto….good support…I bought mine several years ago….just last week the piece that holds the extra band tight Broke….Suunto sent me a replacement part free of charge…. That’s good to know. I may send them an email sometime and see what they have to say. Thanks.